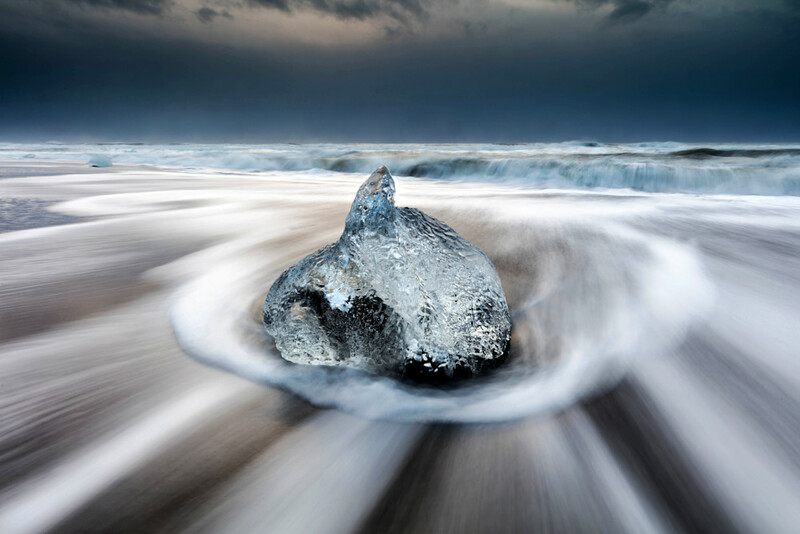 Tide Dance is a seascape photograph, taken along the shorelines of Iceland. This original canvas art photograph is custom-printed by a professional print lab, using archival pigment inks and giclee printing techniques. Ocean photography prints can be ordered unframed or framed, as well as on canvas, metal, or acrylic. A large selection of media types and sizes available. Add a piece of canvas wall art to your home decor today! Water retreats back to the sea around a frozen obstacle.